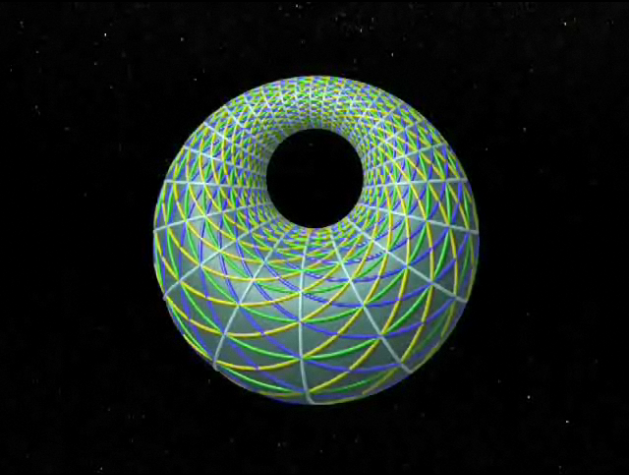 I just finished watching the challenging Dimensions video series - 9 videos, each 13 minutes long, which teach you how to visualize objects in 4 dimensions. I watched each video as my evening treat for the past week. Videos 1 and 2 are basic, and you might find parts of them a bit boring. 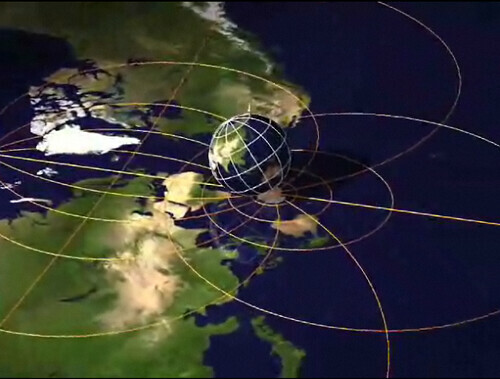 But they're important for the later videos – especially the bit about how rolling a sphere around affects its stereographic projection. 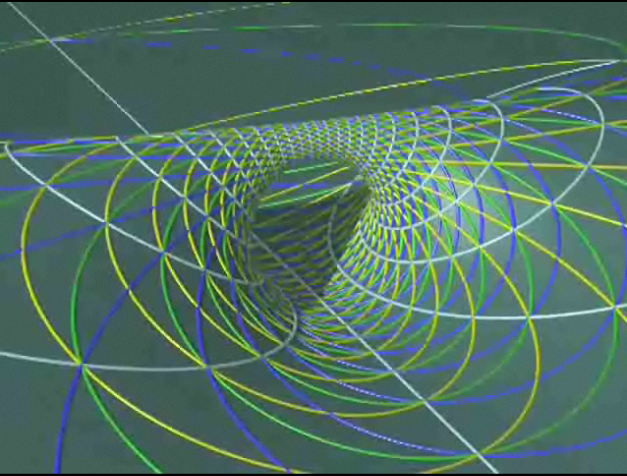 Next, videos 5 and 6 delve into complex numbers. 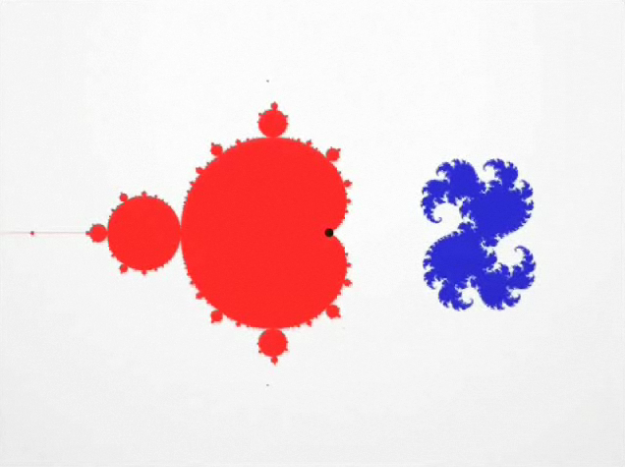 It was neat to finally get a visual explanation of what the Mandelbrot set represents. It's tricky - it's the set of points for which the Julia set (the blue shape on the right) appears. 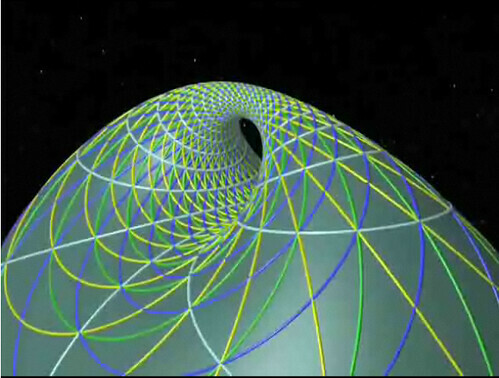 Outside of the Mandelbrot set, the Julia set disappears. 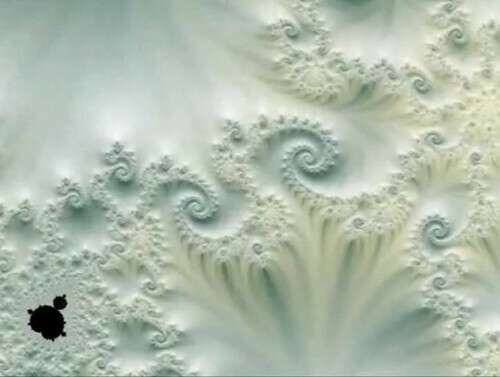 Video 6 finishes with a beautiful zoom deep into the Mandelbrot set. Videos 7 and 8 were the most difficult and had me pressing the pause button quite a bit to try to understand what was said. 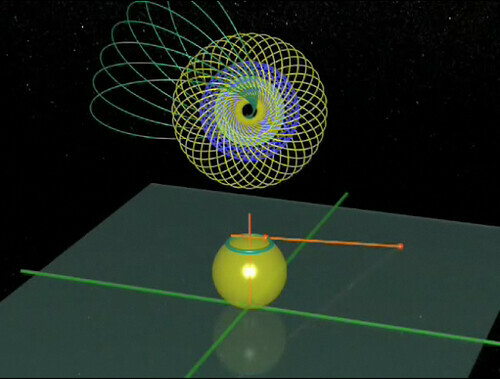 For example, in Video 7 we learn how to divide up a 4-dimensional sphere into circles ("decomposing S3 into its Hopf circles"). Many replays later, I think I get the general idea. 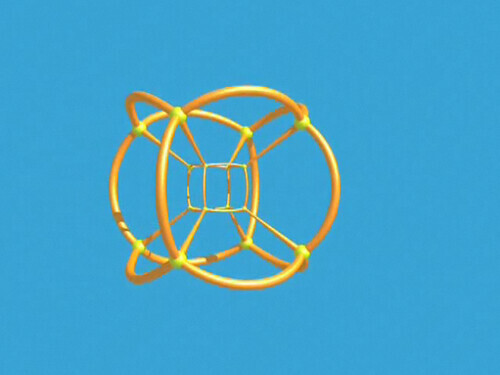 These videos have amazing animated visualizations that you'll find nowhere else. And they have a great soundtrack to boot. Go watch! posted by Jonathan at 8/31/2008 06:23:00 p.m.